Make sure Ryanair will recruit you by attending a Cabin Crew Course. 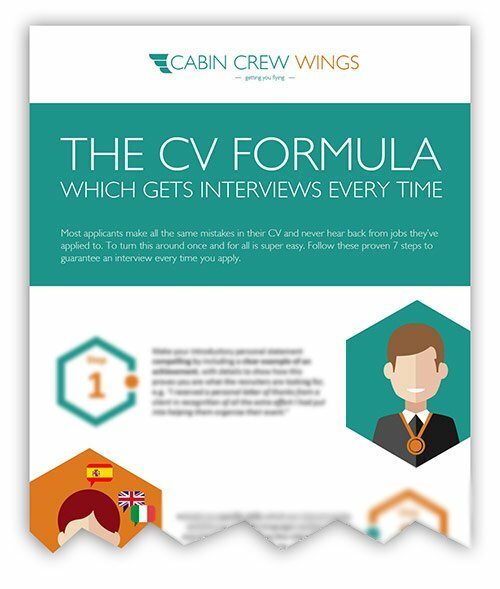 In two days you will learn what it takes to be Cabin Crew, how to excel as a candidate and how to show you are exactly what they are looking for. Click here to find out how you can join us. Cabin crew on Ryanair aircraft have great earnings potential and can avail of a fixed term flexible contract for 3 years. 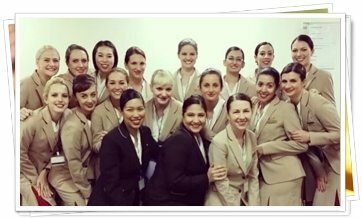 As cabin crew you will have the opportunity to meet new and interesting people every day whilst providing our customers with an excellent travel experience. With over 80 bases across our network, you will have the opportunity to experience new cultures and visit places you never thought you would on your days off, as you operate a comfortable 5 on, 3 off, 5 on 2 off roster pattern. All new cabin crew are recruited to operate on Ryanair aircraft by our cabin crew service providers, Crewlink and Dalmac.